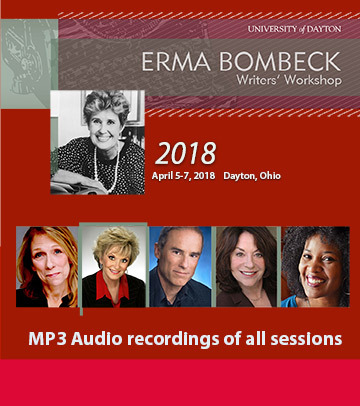 This package includes the audio presentations from the 2018 Erma Bombeck Writers Workshop recorded live during the conference, available as MP3 Files on CD-ROM. Each presentation provides the audio recorded live during the conference. Play the CD-ROM or flash drive to listen to the sessions, or transfer the files to your favorite MP3 player and listen to them anywhere!